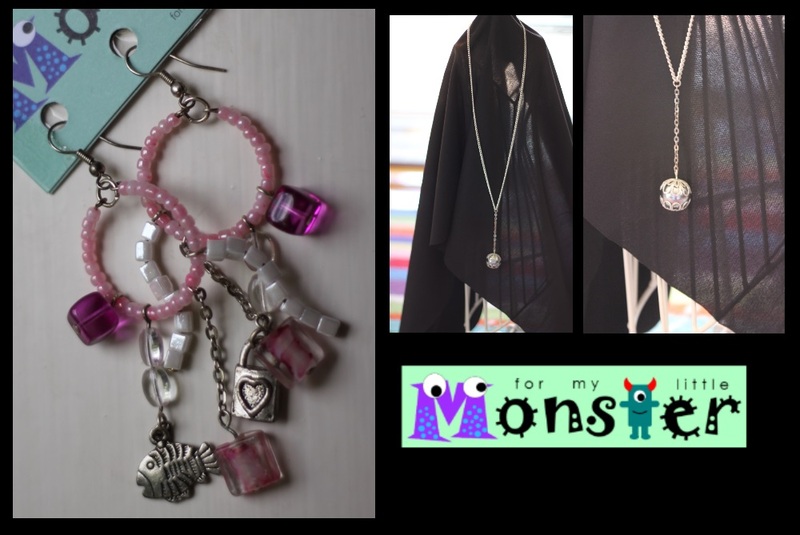 Thank you to all who participated the giveaway to win a mystery Jewellery set* from For My Little Monster. (*Please note the winners will not receive their prize before Christmas). I also wanted to say a special thank you to all my lovely likers, customers and fellow business owners for the support I have received since opening earlier in 2012. Thank you all for your support so far, I enjoy creating lots of lovely things for you and your little monsters, while being home with my little monster. 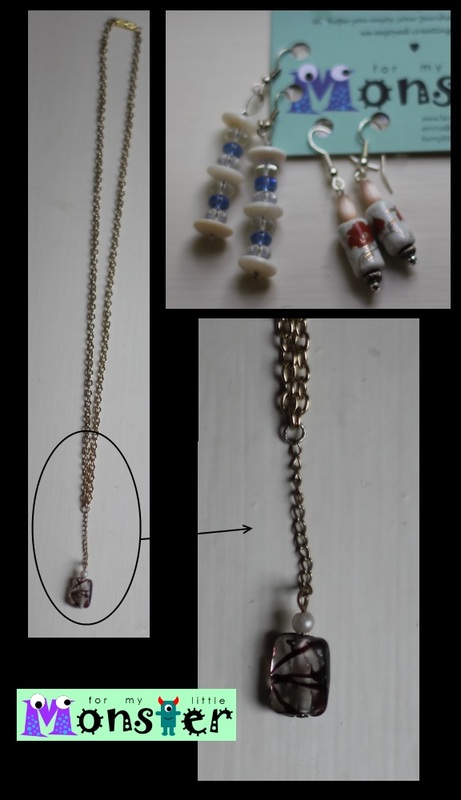 You could win one of 2 Mystery Jewellery Set prizes! I thought I would do a post to tell you all a bit more about me! Occupation: Stay-at-home mum ... but I used to be a teacher! I taught psychology and media to high school student in yr. 10-12. What made me decide to start my own business? Well, I have always been creative...over the year I have dabbled in mosaicking, jewellery making (although I occasionally still enjoy doing this), knitting (but...I never did finish that 1st scarf...), card making, scrapbooking (I even have scrapbooked my own wedding album! ), I've (with my husbands help) have made bookends for friends children, and finally (when I was pregnant with my little monster), I made some artwork for his room and I tried sewing for the 1st time - and obviously I fell in love with it! 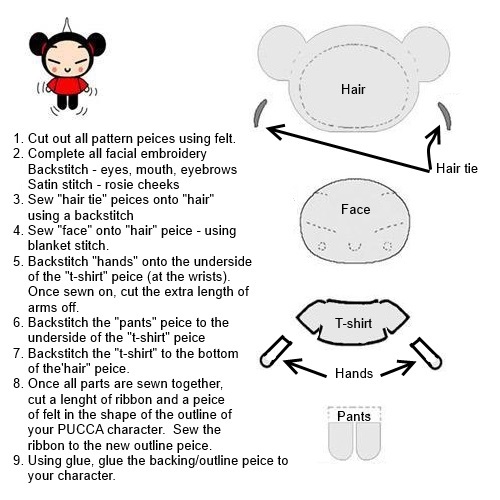 It has been a while since I last blogged, but I wanted to share with you all how you can make your very own PUCCA (image below)! This activity would be suitable for the inexperienced (say 12 years old), to the more advanced hand sewer. It is a very easy activity and it doesn't have many parts - so it should be a nice and quick weekend project. 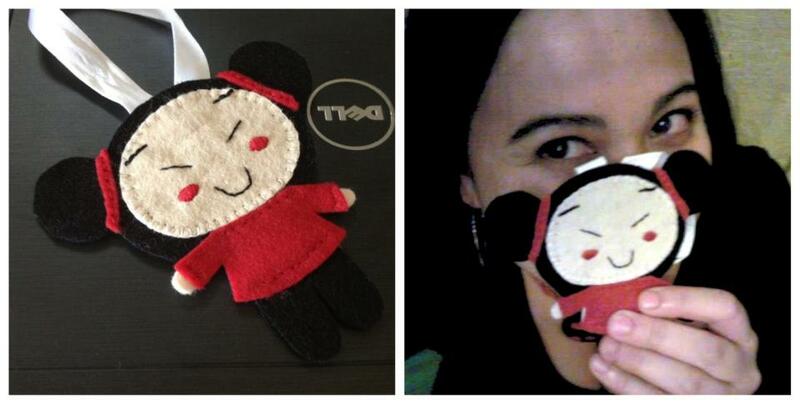 I hope you enjoy creating your very own PUCCA, and if you have any questions, please don't hesitate to ask! Today I have decided to disclose my 1st trick that I use daily to help me with both keeping my house clean and the items being worked on, organised. Have you ever been working on something and you have bits of stuff that you are of course "using" everywhere? Well that seems to be me daily, and with my little monster running around it is often quite dangerous having needles and scissors at grabbing height! It is very comfortable to keep on my lap while I sit on the couch and do my hand sewing, and then when the little monster is about, I can easily move everything out of the way and out of his reach. Do you use something similar? If so, I'd love to hear about it! I would like to know what you think my 1st blog post should be about? 1. Do you want to know a bit more about me? 2. Do you want a peek at what I'm working on right now? 3. Do you want to take a guided tour of my creative space? 4. 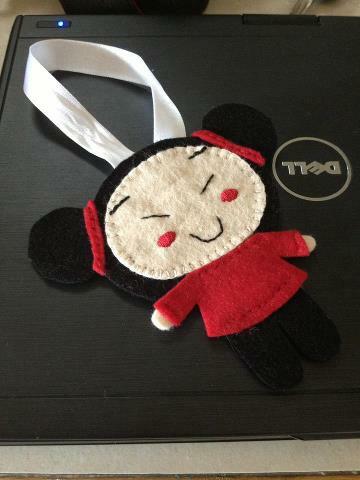 Would you like to see a few of my favourite handmade items that I have made for my son AKA "Little Monster"? 5. Would you like me to tell you about some of my other favourite handmade shops/blogs? 6. Do you what me to tell you some helpful tips and tricks of the trade? Also if you have any questions for me, I'm happy to answer them in a form of blog post or via email. Thanks for visiting and reading this blog!